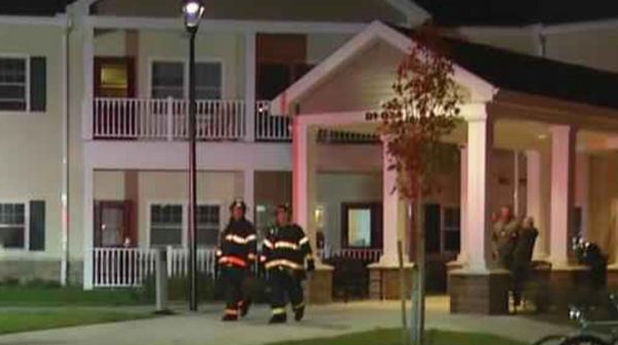 One person was airlifted to Strong Memorial Hospital — and local residents were credited — after quick action prevented an apartment fire from spreading further. Around 10:09 pm deputies, along with the Canandaigua Fire Department, City Fire Department, Farmington Fire, Pumpkin Hook Fire, VA Fire, Canandaigua EMS and ALS responded to the Liberty Apartments located at 5251 Parkside Dr. For a reported fire inside one of the units. According to reports, the apartment complex was for veterans. It’s unclear if both of those sent to the hospital, though, were also veterans. Upon arrival deputies were directed to an exterior first floor patio where a disabled resident was in a wheelchair, unable to get over the patio railing. Deputies say they lifted and moved the 60-year-old resident to a safe location. The resident was identified as Donald J. Hires, of the same address. Deputies say the apartment was filled with heavy smoke and furniture was still burning inside. Fire crews moved quickly to extinguish the fire and ventilate the building. All residents were evacuated as a precaution. The victim was transported to Mercy Flight Central by Canandaigua Ambulance — where he was airlifted to Strong Memorial Hospital for facial and airway burns, as well as smoke inhalation. A male resident who entered the apartment to assist the victim was also transported to Strong Memorial Hospital for smoke inhalation. Deputies credit residents who were outside, noted the fire, reported it, and assisted the victim in getting out of his apartment — with ultimately preventing the fire from being much worse. The cause of the fire remains under investigation, according to deputies.